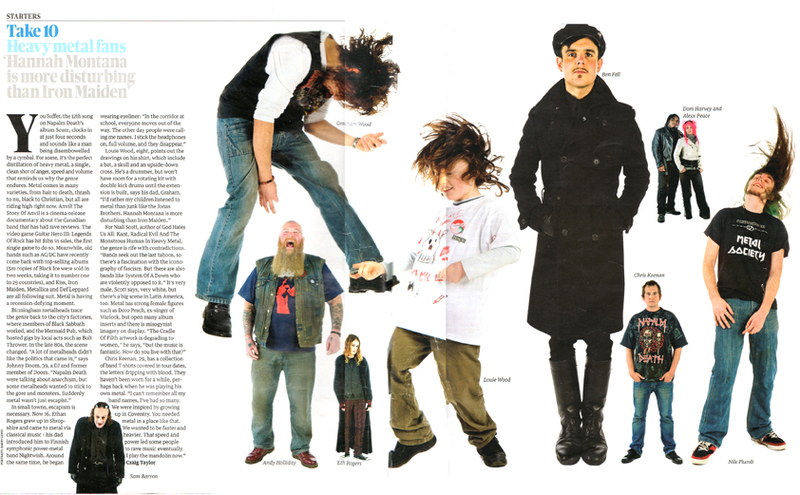 A selection of photos of fans from our last Home Of Metal open day at Birmingham Museum & Art Gallery were featured in last weekends Guardian Magazine. The photos were taken by photographer Barry Lewis. As you can see there was a real cross section of fans in attendance old and young, Sabbath to Napalm fans coming together to share their passion for Birmingham & The Black Country. As a result of the last open day Birmingham Museum & Art Gallery have committed to a large scale exhibition in Gas Hall for 2011, as have Wolverhampton Art Gallery and New Art Gallery Walsall – keep watching this space for further news.